In 1976 Byggwik was formed as a daughter company of Wikström International A.B. of Sweden. In the early years we concentrated solely on the construction of new tanks. As the recession of the 1980s took hold, the demand for new tanks all but dried up, and make do and mend was the new rallying call from Government. We set about adapting the standard tank jack so that full floor repairs could be carried out on most tanks. This technique, although not new, needed a new approach, and so our base repairing system was born, after a particularly tricky start where the ground under the jacks started to collapse while the tank was in the air. Fortunately the tank was saved by a combination of quick thinking and good luck. The system was remodified and refined still further and has remained unchanged since. 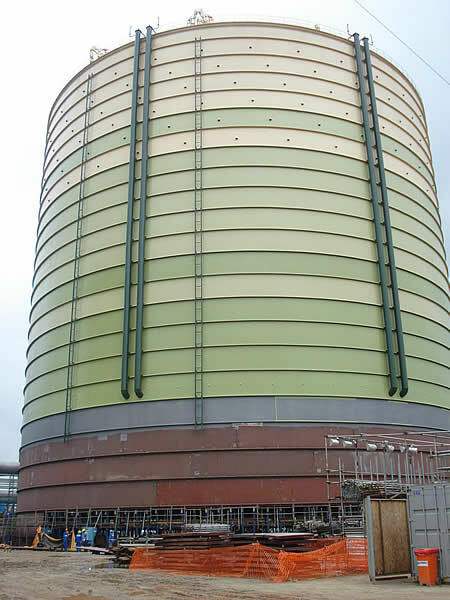 As times got better and the new tankage market re-established itself we went from strength to strength, culminating in 2008 with the construction of three of the largest tanks built using the jacking method in the world. The Byggwik system is now used in many parts of the world where the jacking method is seen as the “conventional method”, for example The Middle East, North and South America, Taiwan. Some of the projects we have undertaken in these parts of the world are featured in more detail on the site. 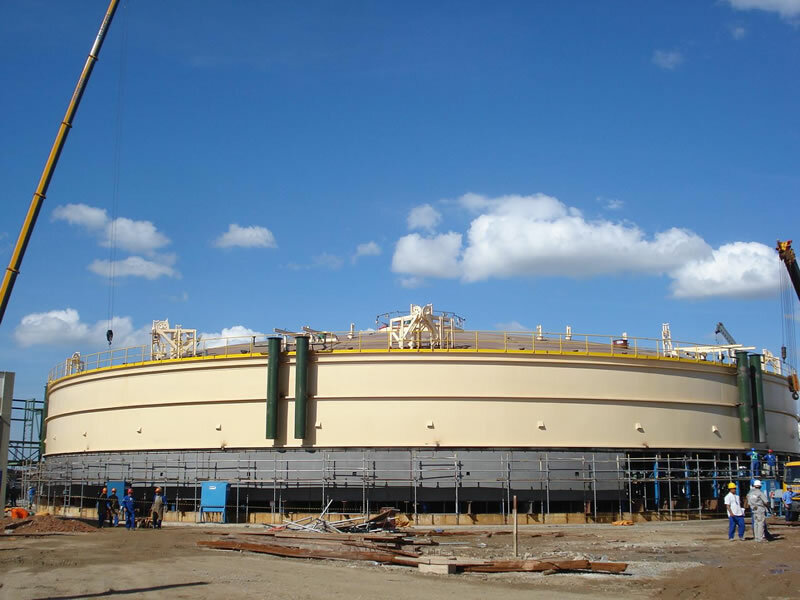 We also undertake special projects that do not involve storage tanks, with our trading arm Synchrolifts. There is a separate section dedicated to some of the more challenging projects we have undertaken.